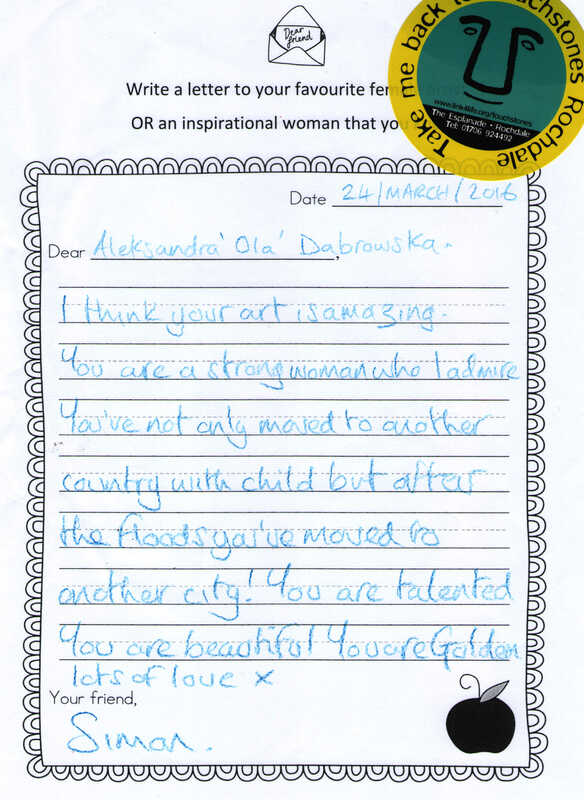 To Ola Dabrowska, artist. From Simon Botterill. I think your art is amazing. You are a strong woman who I admire. You’ve not only moved to another country with child but after the floods you’ve moved to another city! You are talented, you are beautiful, you are golden. artist. More information about Ola Dabrowska.